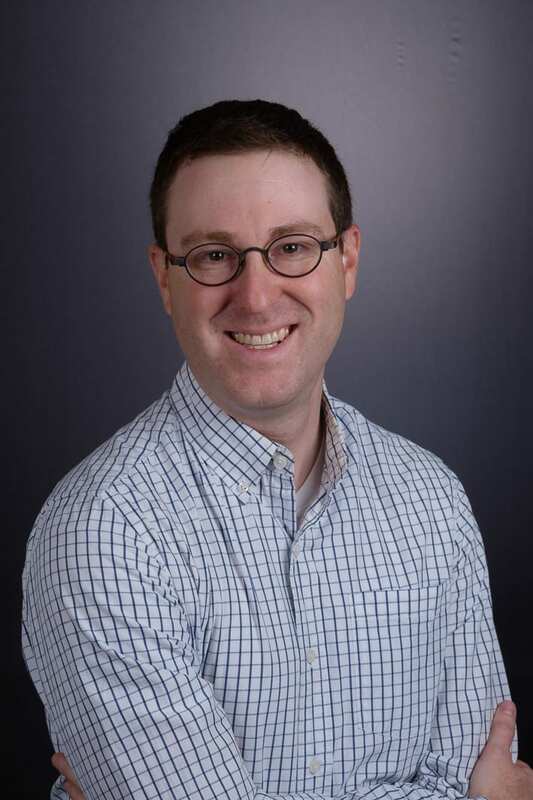 Meet Aaron Carpenter, he received a bachelor’s (2005), master’s (2006), and Ph.D. (2012) from the University of Rochester, all in the field of Electrical and Computer Engineering, focusing on computer architecture and VLSI design. Prof. Carpenter then taught at 3.5 years at Binghamton University, teaching both undergraduate and graduate courses and supervising his own PhD and master’s research lab. In 2015, he joined the ECE department at Wentworth Institute of Technology, focusing on computer engineering and engineering education. Graduate school is an important facet of STEM education. While it is by no means required for your career, it is often a significant addition for long-term employment and promotion. But, here at Wentworth Institute of Technology, students have no academic contact with graduate students or graduate school, at least not yet. Students often have curiosity regarding graduate school, and the goal of this article is to answer some frequently asked questions. We will discuss some introductory information regarding graduate school, including various motivations for graduate studies, some details on various degrees, specifically in engineering and science. The discussion will mostly be around the STEM fields, but could apply to other fields. Before going into the questions and answers, let me describe some of my qualifications. I have a bachelor’s, master’s, and PhD degree from University of Rochester, all in Electrical and Computer Engineering. I then taught at Binghamton University for 3.5 years, teaching undergraduate and graduate courses, advising master’s and PhD students doing research, and helping to review graduate applications at the request of the graduate director. While I have some level of insight into graduate school and applications, please note you should consult your academic advisor, professors, and coop and career advisors for your specific graduate school goals. Why should people consider graduate school? Undergraduate programs teach students an ability to analyze problems, think critically, learn skills pertaining to a particular field. The education is often broad, with your major classes provides some depth. Master’s programs teach you a specialty within your field of study, developing a deeper knowledge and understanding, often aimed at more state-of-the-art areas. Master’s will often push students toward the cutting edge, but not delve into deep research level more than a little bit, depending on the school and program. PhD programs make you innovate in your field. You will learn about the cutting edge, and then add to it, becoming the expert in your field. It builds on the skills learned in undergraduate and possibly Master’s work. You will also learn about how to research on your own. So why should someone get a Master’s or PhD? What is the Master’s program like? Full-time master’s work can range in length of time, averaging about 2 years. Different programs have different lengths, depending on if you are doing a thesis, or how many classes you take per year. If you are pursuing part-time study, you would probably count on closer to 4-5 years, taking 1 course per semester, 2 semesters per year. Programs range in number of classes, but most will be between 8-12, depending on the field. These courses will be of a higher level, beyond the basics learned in undergraduate programs. Think of a technical or specialized elective in your junior or senior year, and that is roughly the starting point. Depending on your program, some of the credits typically reserved for classes would be replaced by either a project or a thesis. A project would be about 1 semester of dedicated time, often in support of some larger research goals of the professor. Similarly, you could have a thesis, which is often 2 semesters of more dedicated research, again sometimes in support of larger research goals. The thesis would require you to write a dissertation and defend it to a committee, although it would be must smaller than a PhD thesis, which we will discuss later. Do students need to have research before they apply to graduate school then? You don’t need undergraduate research going into grad school, but it does not hurt to have a little bit of experience. You can get that kind of experience by talking to professors about getting involved in research work as an undergrad. Students often need to worry about cost of education. What should students expect for financing graduate school? As a baseline, you should assume that you will likely have to pay tuition/fees/etc. while pursuing your Master’s degree. This is a big difference between the Master’s and a PhD. Master’s students can get scholarships, fellowships, or assistantships like teaching or research assistant. However, these funding opportunities are typically reserved for PhD students. You can inquire at individual programs regarding these opportunities. There are also external grants you can get, such as from NSF or DoD. Some companies may partially or fully fund a Master’s degree, though typically in exchange for a mandatory employment period. How should students try to find these programs and opportunities? For funding, that would be based on the program or the school. But picking a program or school is a whole process. You want to choose a school or program based on the specialties you are interested in. If you don’t know yet, that is ok also. But if you are interested in a particular field, say artificial intelligence, make sure you find a department that has those classes and research available. That means looking at department and faculty websites prior to application. There are online programs out there. Be cautious of their quality. Do your background research and speak with faculty or the co-op and career center to check their quality. Once a student has found a program, what is it like to be in graduate school? Is it similar to undergraduate programs? It can also work against you in something called “imposter syndrome”. This happens when you are surrounded by people who are smart and driven, and can often make you feel like an imposter. Students and faculty no matter how accomplished, are susceptible to it. It is the feeling that if someone wanted to, they could prove you are not worthy of your opportunities, like you are an imposter in your field. It is important to remember that everyone feels that way once in a while. It is less common in MS, but is more common in PhD. For more questions regarding the PhD program, please check back next week for Part Two!